I’d say this site features some advanced vocabulary, but that doesn’t mean that a beginner should stay away. There are many useful points and posts that show mistakes that most native speakers commonly make. The site has the posts helpfully categorized for easy access. 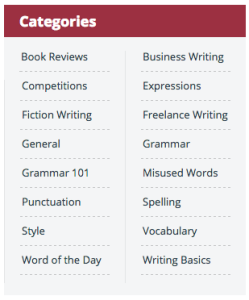 Some helpful categories for students are Grammar, Vocabulary, and for those interested, Business Writing. Marriage. A timeless conversation topic. People talk about it before it happens, when it is happening and after it happens. 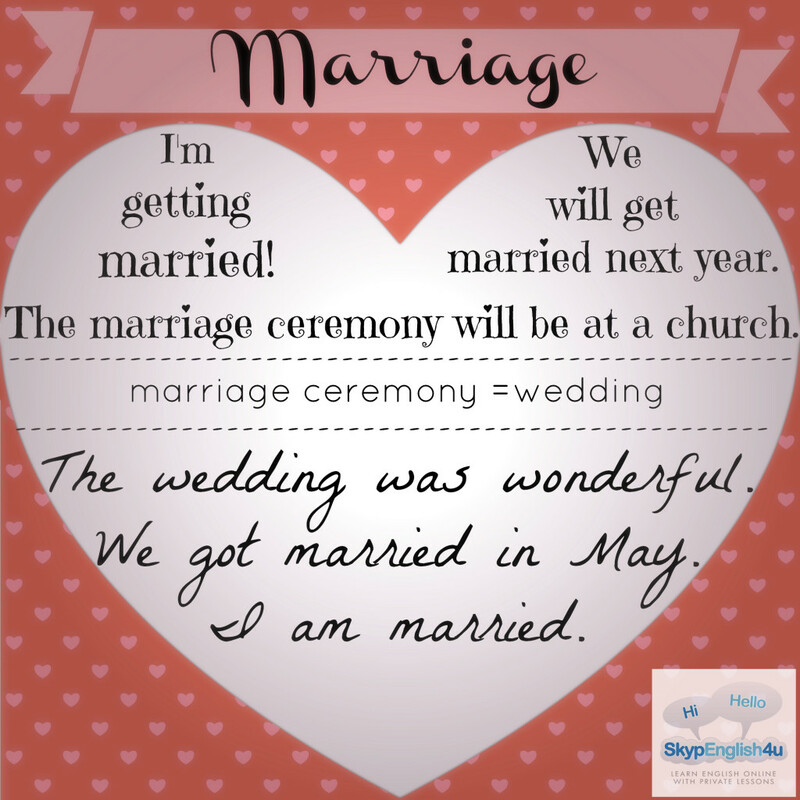 In the English language we commonly use the word GET before the word married. The moment you say ‘I do’ (or actually sign the document) that is the moment you get married. Some little girls dream of getting married. I want to get married on the beach. We got married in May. They got married in Mexico. The marriage ceremony will be at a church. The wedding will be in New York. The marriage ceremony was lovely. Kim’s wedding was the best I have ever been to. When friends get together, they often talk about their marriages. Try it out! Write a sentence about marriage in the comments below and I will correct it. I was very excited by this because I am not only a language teacher, but also a language learner. I am at a very beginner level, slowly and steadily learning Greek. Taking my own advice that I give to my students, “you must have English in your life everyday if you want to improve…” I’ve decided to start a journal writing very simple phrases in Greek. Using my active vocabulary, each day I’ll write a few things down. I wanted to check a few words using Google Translate (I know, I know, it’s not always correct, but for simple basic words, usually it is ok- and I am at that simple basic level!) and I remembered about phrasebook. Happy times! It is so simple to use and I think VERY useful for helping language learners review vocabulary. Here I actually searched for the phrase first in English-> Greek and then switched it because I want my phrasebook to have the Greek words first, but either way works. Next you just click on the little star below the phrase or word and you will see a little notification pop up in the upper left-hand corner showing that a word has been added. That is your phrasebook icon! Click on that little star-book icon and you will see all of the words/phrases that you have previously saved. As I mentioned earlier, I have mine with the Greek phrase first, but you can sort by language and by the date you added it. You can even export it to a spreadsheet by clicking on that icon under the search tool. There are so many great tools out there to help us with language learning. I hope that you will try it out and let me know how it works! 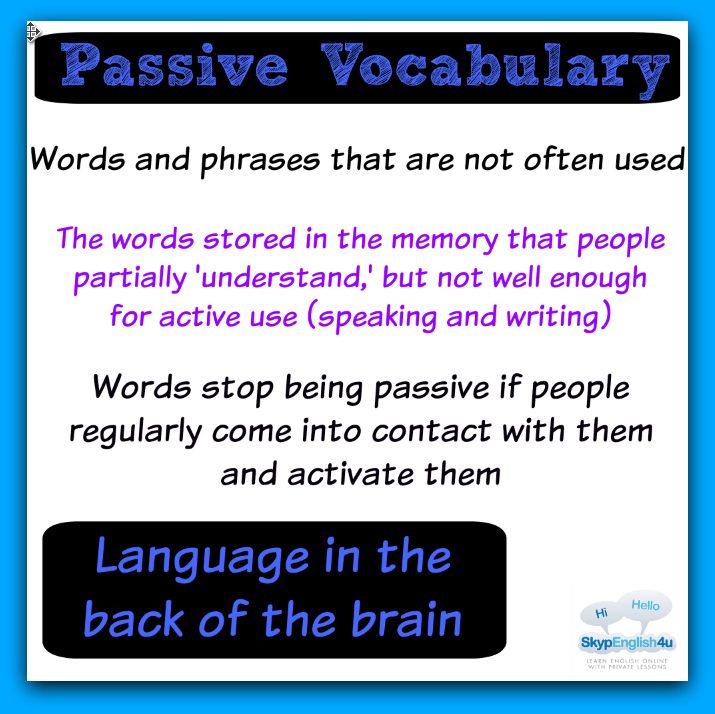 Please share some of the tools you use to improve your vocabulary in the comments section below and perhaps be featured in a future blog…. to obtrude or thrust (oneself, one’s company, etc.) upon others. http://skypenglish4u.com/wp-content/uploads/2016/10/SE4U2-2-4.jpg 0 0 Kelsey http://skypenglish4u.com/wp-content/uploads/2016/10/SE4U2-2-4.jpg Kelsey2015-01-15 00:07:102015-01-15 00:07:10Impeding, Impending, Imposing – Why are they so similar?! • John: Let’s go out tonight. • Lucy: Okay. I have a little money, enough for the cinema at least. • Lucy: Sorry, I have little money. I really can’t afford to go out. • There have been few problems with the new system, thankfully! • Luckily, there is little crime in my town. • I’m so pleased that I have few arguments with my family. • It’s great that there’s been very little bad weather this month.